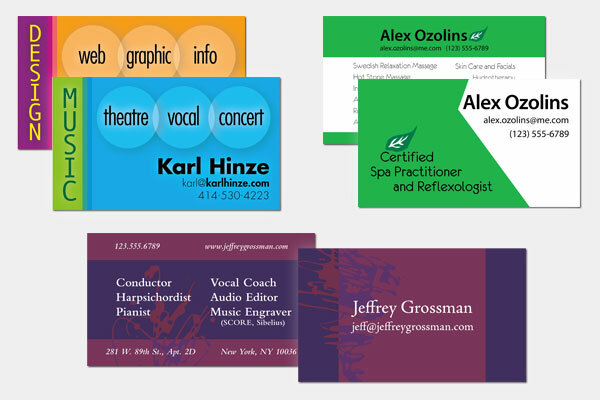 As the samples above demonstrate, my personal aesthetic in business cards is clean-cut, bright, and colorful. However, I'm also happy to design business cards in any style to fit your needs. The above samples were all made using scalable vector art in Adobe Illustrator.